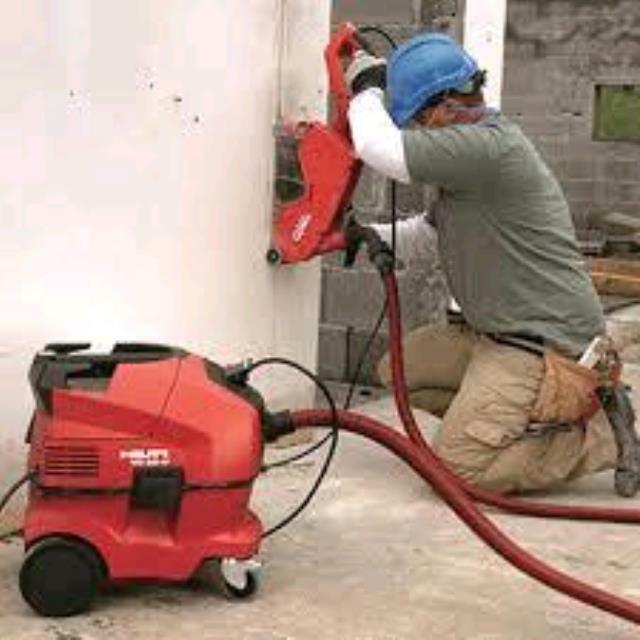 Hilti's DCH 300 12 inch Electric Diamond Concrete Cutter has a maximum cutting depth of 4 3/4", rivaling a 14" concrete cutter. The DCH 300 has a unique ergonomic in-line design where the grip is directly behind cutting disc, allowing for greater control while cutting. A powerful 2,600-watt motor with Smart Power, provides superb performance, making cutting not only more accurate but easier and safer than ever before. Cut through various concrete and masonry base materials with this Hilti electric diamond saw. * Please call us with any questions about our chop saw 12 inch electric dustless system rentals in Burnsville MN, Rosemount MN, Apple Valley, Minneapolis, St Paul, Twin Cities, South Metro,and Dakota County.